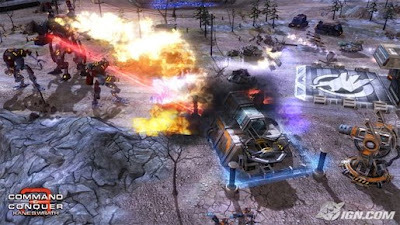 One of the most popular (if not THE most popular) RTS game series are the Command & Conquer games. Playing Red Alert 1 “back in the day” was one of the coolest gaming experiences I’ve ever had (can’t wait for Red Alert 3 btw!). Finally the expansion pack for C&C3 is here and without surprise it is delivered by the most active game release group in the scene at the moment. Please remember that this is an expansion to the original C&C3! 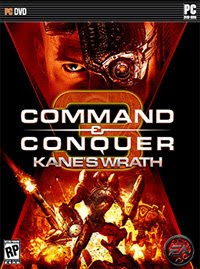 You do need to install C&C3 before you can install and play Kanes Wrath. Just thought I’d point that out to any n00bs out there. Check out whats new with the expansion below and enjoy some of the finest new RTS the gaming world has to offer. Experience a new story that spans 20 years with Command & Conquer 3: Kane’s Wrath. From the rebirth of the Brotherhood of Nod after the Second Tiberium War through the dramatic events of the Third Tiberium War and beyond. Command & Conquer 3: Kane’s Wrath is told through a new set of high-definition live action video sequences starring a celebrity cast. Joe Kucan, the original actor who portrayed the character Kane in Command & Conquer games over the last decade, will reprise his role as the megalomaniacal leader of the Brotherhood of Nod. Kane returns as the centerpiece of an epic new single-player campaign. Experience a new story that spans 20 years – from the rebirth of the Brotherhood of Nod after the Second Tiberium War through the dramatic events of the Third Tiberium War and beyond. With the introduction of new units, structures, and abilities to each of the three factions, the Tiberium Wars will never be the same. Play to your strengths with six unique sub-factions, each equipped with their own exclusive units, powers, and upgrades. Utilize the sub-faction of your choice to fully take advantage and compliment your play style. Devastate the battlefield with the immense firepower of all-new customizable Epic-units.